Rating: 4 / 5 , based on 2 reviews. 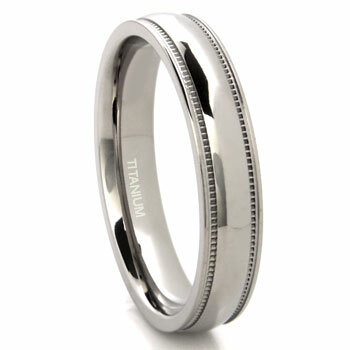 When I first received the ring, which is a wedding band for my husband, I liked it very much. After wearing the ring for only one week it has a scratch on it. I was under the impression these rings were "scratch proof". This is my husband's wedding band. It arrived quickly, fit extremely well, and three months later is still looking brand new. He says it's quite comfortable, and I think it looks very nice on his hand, although I might be biased. Very minimalist and manly.